Hit the road in style with Wealth on Wheels. From the fast and furious to the cool and classic, we are bringing you the latest trends within this fast paced world. Hit the road in style with ‘Wealth on Wheels: Classics.' Today we’re checking out the glamorous automobiles at a Palm Springs car show – and attending an animated auction of some collectable favorites. Hit the road in style with ‘Wealth on Wheels: Classics.’ On this episode – we’re satisfying any racing heart with the vintage vehicles at the Pebble Beach Concours d’Elegance. Wealth on Wheels takes you to the Monterey peninsula to showcase a classic line-up of cars. From pre-war racers to Italian supercars, 40 horsepower to 640 horsepower, see the Best of Marques from Vintage Monterey. We take you to the annual Custom Car and Rod show at the Del Mar Fairgrounds. This event kicks off the rod and custom car show season with thousands of tricked out rods and customized classics from the 50¹s and 60¹s in attendance. Hit the road in style with ‘Wealth on Wheels: Classics.’ On this episode – we’re checking out a classic collection of vintage cars – and living the high life at a glamorous California hotel. Once a year Beverly Hills' famous Rodeo Drive becomes a parking lot for some of the most expensive automobiles in the world for the Father's Day Concourse D' Elegance car Show. From wooden Rolls to sleek classics this is a must see event. The Pasadena College of Art Design car show is a by invitation only event that brings together a unique collection of exotic automobiles and the designers that created them. We feature some of the rarest chrome on wheels at this annual gathering. AWE cruises into the Cops and Rodders Car Show featuring a potpourri of antique police vehicles and hundreds of classic rides from a Space Alien PT Cruiser to an old Paddy Wagon on this special edition of Wealth on Wheels. It’s that time of year, where the Monterey Peninsula comes alive with rare and exquisite cars. Gleaming chrome signals the start of the world’s ultimate car show and competition. At Pebble Beach Concours D’Elegance, vintage cars are the stars. Concorso Italiano is the premier celebration of Italian automobiles and style, paying homage to Italian culture, and high automotive art. Every August amid a scenic and festive atmosphere see rare Italian cars. Hit the road in style with "Wealth on Wheels." We're heading to a quiet paradise on the California coast to explore the legend of the motorcycle. 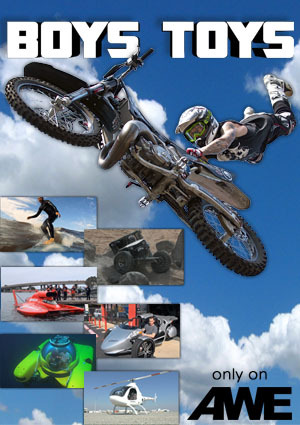 Join the fun at the Temecula Rod And Custom Show. Lots of vintage wheels, classic hot rods and surf classics all wrapped around a day long celebration that raised money for the local Boys and Girls Clubs of Temecula. Wealth On Wheels rolls into Vegas for a sure bet as we attend the cities classic car show featuring some of the best steel and chrome ever to grace a set of tires. Sitting on a field of green this Concours d’Ellegance is an oasis for car lovers. Wealth On Wheels gears up for an extraordinary car show when AWE travels to Palm Springs California for their first annual Concours d’Ellegance. Hundreds of classic cars worth millions makes this show a must see event. The Coronado Speed Festival is the coolest vintage car race in southern California. Rare cars built before 1972 with names like Boss, Chevron, Mustang, and McClaren battle it out on the track. See the action, only on “Wealth on Wheels”. Imagine the perfect sunny day on the bay in San Diego add more than two hundred classic and new Corvettes and you have the ingredients for a great car show. Join us as we go Corvette Dreaming on Wealth On Wheels. Wealth on Wheels Classics visits the Palos Verdes Concours D’Elegance, the best-kept secret in car shows. Carroll Shelby’s cars are honored, rare Jaguars, historic 32 Fords and much more! Wheels Classics at the Palos Verdes Concours D’Elegance! A classy city, hosts a classy event. The La Jolla Motor Car Classic is a gathering of great automobiles at one of the finest locations on earth, known as the jewel by the sea. We’re paying tribute to vintage vehicles on Wealth on Wheels Classics. Join us on Rodeo Drive in Beverly Hills to celebrate Father’s Day during this annual celebration featuring hundreds of one-of-a-kind cars. We stroll along one of the most famous streets in the world and do a little chrome window shopping. Tour the Automobile Driving Museum in El Segundo, CA. Here enthusiasts can drive and see rare orphan cars like Studebaker, Stutz, Kaiser, Frazer and Packard. Youll only find it here on Wealth on Wheels Classics, the place for vintage vehicles! The Pebble Beach Concours d’Elegance is most the prestigious event of its kind, the Mecca for vintage motorcar enthusiasts, these cars are the most unique and best in their class, Wealth on Wheels Classics: 2008 Pebble Beach Concours d’Elegance. Wealth On Wheels explores the Nethercutt Collection featuring more than 180 classic cars and numerous Concours Best of Show winners. Plus we’ll visit their restoration shop to see how these cars are put into Blue Ribbon condition. Wealth on Wheels Classics showcases one of the most prestigious automobile events in Southern California. Join us as we view some of the world's finest restored cars that were exhibited at the La Jolla Motor Car Classic. Wealth on Wheels Classics visits the 2009 Concorso Italiano, the premier celebration of Italian automotive style. Featuring the Ferrari Daytona, 45 years of Lamborghini, Maserati, Iso, De Tomaso and many other examples of excellent automotive art! Wealth on Wheels Classics visits the 2008 Palos Verdes Concours d’Elegance; it’s the best-kept secret in car shows. Highlighting General Motor’s vehicles and featuring vintage Cadillac’s, Ford Model T’s and many other classic cars! The Coronado Speed Festival brings the metal, muscle and the rubber to the runway! Vintage car races along with historic NASCAR’s, drifting and the best military hardware all participate in this spectacle of raw power. Wealth on Wheels Classics visits the oasis of Palm Springs for the Desert Classic Concours d'Elegance. The featured marque is Alfa Romeo; there are also Ferraris, rare one-offs and special interest cars! We've got in-your-face hotrods and great custom cars to cruise in - all on 'Wealth on Wheels Classics.' Don't miss the best rides from the 2009 Good Guys Del Mar Nationals! Take a stroll through time as we tour an array of classic Mercedes –Benz automobiles, all restored to showroom new status including rare cars from the 40’s, 50’s and 60’s on Wheels Classics. Exquisite automobiles are in abundance at Pebble Beach Concours D'Elegance. Honoring Bentely, Bugatti, Auto Union, Morgan and Motorcyles- don't miss it! Tune in to watch “Wealth on Wheels Classics” at Concorso Italiano. An impeccable venue in Northern California is the scene for the best in Italian automotive art. The show celebrates Bertone, De Tomaso, the Ferrari GTO and a Lamborghini supercar. Each year the most famous zip code in the world turns Rodeo Drive into a parking lot for some of the most expensive cars in the world. We give you a personal tour of these iconic rides on a day when the cars become the stars in Beverly Hills. The Blackhawk Museum is the place to see the most rare and elegant cars in the world. We visit this beautiful museum to see some of the best in four-wheeled masterpieces at the Blackhawk Museum, where auto design and beauty are on display! The California Collection is one mans dream come true; a collection of road warriors that range from turn-of- the-century vehicles to a tricked out roadster. Take a trip through time as AWE visits this one of a kind showcase. The world’s best vintage cars roll out to celebrate the latest installment of the Pebble Beach Concours d’Elegance. Commemorating Alfa Romeo, Pierce Arrow, Jaguar and other fine automobiles on "Wealth on Wheels Classics"!